Fatali Khan Isgender oglu Khoyski was an attorney, a member of the Second State Duma of the Russian Empire, Minister of Internal Affairs, Minister of Defense and, later the first Prime Minister of the independent Azerbaijan Democratic Republic. The Ahrar (Liberal) Party was a small political party in Azerbaijan Democratic Republic (1918-1920), representing mainly the Sunni peasantry of Azerbaijan. It had five members in the Azerbaijani Parliament of 1918, and one minister in the fourth cabinet. It was dissolved after Soviet invasion of Azerbaijan in 1920. Among the important accomplishments of the Parliament was the extension of suffrage to women, making Azerbaijan one of the first countries in the world, and the very first majority-Muslim nation, to grant women equal political rights with men. Another important accomplishment of the ADR was the establishment of Baku State University, which was the first modern-type university founded in Azerbaijan. Baku State University is a public university located in Baku, Azerbaijan. Established in 1919 by the Parliament of Azerbaijan Democratic Republic, the University started with faculties of history and philology; physics and mathematics; law and medicine with an initial enrollment of 1094. The first rector of BSU was V.I.Razumovsky, a former professor of surgery at Kazan University. After the October revolution of 1917 the Transcaucaisan government had to change its policy as Russia was now involved in the Civil War. The Transcaucausians did not accept the Bolshevik revolution. In February, 1918 the Transcaucasian Council (“Sejm”) started its work in Tbilisi, and this was the first serious step towards complete independence of the Caucasian nations. The “Sejm” consisted of 125 deputies and represented 3 leading parties: Georgian mensheviks (32 deputies), Azerbaijan Muslims (“Mussavat”, 30 deputies) and Armenian “dashnaks” (27 deputies). Bolsheviks refused to join the Sejm and established their own government of the local Soviet in Baku: the so-called Baku Commune (November 1917 –31 July 1918). The Commune was formed by 85 Social Revolutionaries and Left Social Revolutionaries, 48 Bolsheviks, 36 Dashnaks, 18 Musavatists and 13 Mensheviks. Stepan Shaumyan, a Bolshevik, and Prokopius Dzhaparidze, a leftist SR, were elected Chairmen of the Council of People's Commissioners of the Commune of Baku. The Party of Left Socialist-Revolutionaries was a revolutionary socialist political party formed during the Russian Revolution. 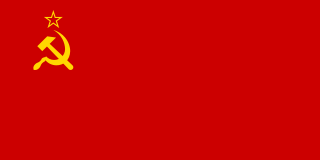 The Bolsheviks, originally known as Bolshevists or Bolsheviki, were a faction of the Marxist Russian Social Democratic Labour Party (RSDLP) which split apart from the Menshevik faction at the Second Party Congress in 1903. 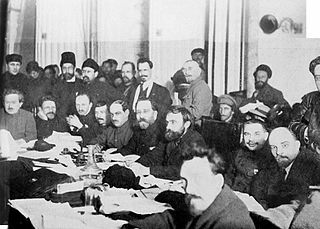 The RSDLP was a revolutionary socialist political party formed in 1898 in Minsk, Belarus to unite the various revolutionary organisations of the Russian Empire into one party. The Armistice of Erzincan was an agreement to suspend hostilities during World War I signed by the Ottoman Empire and Transcaucasian Commissariat in Erzincan on 18 December 1917. The armistice brought temporary peace to the Caucasian and Persian Fronts until 12 February, when the fighting was resumed. The Allies recognized the Transcaucasian Republics partly because of their fear of Bolshevism, but their activities directed against Bolshevism, at least in Transcaucasia, did not go much beyond words, the strongest of which were status quo, recognition, demarche, and a list of standard diplomatic remonstrances. After the Azerbaijani delegation successfully completed its mission at the Paris Peace Conference, the parliament adopted a law on the establishment of diplomatic missions in France, Great Britain, Italy, the United States and Poland. In addition, the consulates of Azerbaijan started operating in Tabriz, Khoy, Anzali, Rasht, Ahar, Mashhad, Batumi, Kiev, Crimea, Ashgabat and elsewhere. Baku, Georgia, Armenia, Iran, Belgium, the Netherlands, Greece, Denmark, Italy, France, Sweden, Switzerland, England, USA, Ukraine, Lithuania, Poland, Finland and other countries have official representations at different levels. In the summer of 1918, the Dashnaks, together with the SRs and the Mensheviks, expelled the Bolsheviks, who refused to ask for British support, and founded the Centro Caspian Dictatorship (1 August 1918 –15 September 1918). The CCD was supported by the British who sent an expeditionary force to Baku to help the Armenians and the Mensheviks. The purpose of the British forces (led by Major General Lionel Dunsterville, who arrived from Persia's Enzeli at the head of a 1,000-strong elite force) was to seize the oil fields in Baku ahead of Enver Pasha's advancing Turkish troops (Army of Islam) or the Kaiser's German troops (who were in neighboring Georgia) and to block a Bolshevik consolidation in the Caucasus and Central Asia. Unable to resist advancing Turkish troops during the Battle of Baku, Dunsterville ordered the evacuation of the city on September 14, after six weeks of occupation, and withdrew to Iran; most of the Armenian population escaped with the British forces. The Ottoman Army of Islam and its Azeri allies, led by Nuri Pasha, entered Baku on September 15 and slaughtered between 10,000 – 20,000 Armenians in retaliation for the March massacre of Muslims. The capital of the ADR was finally moved from Ganja to Baku. However, after the Armistice of Mudros between Great Britain and Turkey on October 30, Turkish troops were replaced by the Allies of World War I. Headed by British general William Montgomery Thomson, who had declared himself the military governor of Baku, 5,000 Commonwealth soldiers arrived in Baku on November 17, 1918. By General Thomson's order, martial law was implemented in Baku. The ADR found itself in a difficult position, hemmed in from the north by advancing Denikin forces, unfriendly Iran in the south; the British administration was not hostile but indifferent to the plight of Muslims. General Thomson initially did not recognize the Republic [ citation needed ] but tacitly cooperated with it. [ citation needed ] On April 25, 1919, a violent protest organized by talysh workers of pro-Bolshevik orientation exploded in Lankaran and deposed the Mughan Territorial Administration, a military dictatorship led by Russian colonel V.T. Sukhorukov. On May 15, the Extraordinary Congress of the "Councils of Workers' and Peasants' Deputies" of Lankaran district proclaimed the Mughan Soviet Republic . By mid-1919 the situation in Azerbaijan had more or less stabilized, and British forces left on August 19, 1919. In May 1920, there was a major uprising against the occupying Russian XI Army in Ganja, intent on restoring Musavatists in power. The uprising was crushed by government troops by May 31. Leaders of the ADR either fled to the Democratic Republic of Georgia, Turkey and Iran, or were captured by the Bolsheviks and executed, including Gen. Selimov, Gen. Sulkevich, Gen. Agalarov: a total of over 20 generals (Mammed Amin Rasulzade was later allowed to emigrate),  or assassinated by Armenian militants like Fatali Khan Khoyski and Behbudagha Javanshir. Most students and citizens travelling abroad remained in those countries, never to return. Other prominent ADR military figures like former Minister of Defense General Samedbey Mehmandarov and deputy defense minister General Ali-Agha Shikhlinski (who was called "the God of Artillery" ) were at first arrested, but then released two months later thanks to efforts of Nariman Narimanov. Gen. Mehmandarov and Gen. Shikhlinsky spent their last years teaching in the Azerbaijan SSR military school. Stepan Georgevich Shaumian was a Bolshevik revolutionary and politician active throughout the Caucasus. Shahumyan was an ethnic Armenian and his role as a leader of the Russian revolution in the Caucasus earned him the nickname of the "Caucasian Lenin", a reference to the leader of the Russian Revolution, Vladimir Lenin. Muhammad Amin Rasulzadeh was an Azerbaijani statesman, scholar, public figure and the head of the Azerbaijani National Council. His expression "Bir kərə yüksələn bayraq, bir daha enməz!" became the motto of the independence movement in Azerbaijan in the 20th century. 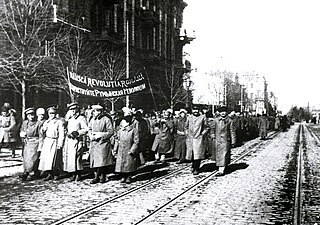 The March Days, or March Events, refers to inter-ethnic strife and massacres of about 12,000 Azerbaijanis and other Muslims that took place between 30 March – 2 April 1918 in the city of Baku and adjacent areas of the Baku Governorate of the Transcaucasian Democratic Federative Republic. Javad Irzabey oglu Malik-Yeganov was an Azerbaijani politician and Governor-General of Lankaran during Azerbaijan's independence in 1918–1920. Nasib Yusif oglu Yusifbeyli or Usubbeyov - Azerbaijani publicist, statesman and major political figure in Azerbaijan Democratic Republic. Mammad Hasan Jafargulu oglu Hajinski was an Azerbaijani architect and statesman. He also served as a Minister for Foreign Affairs of Azerbaijan Democratic Republic (ADR) and the last Prime Minister of ADR. Mammad Yusif Jafarov Hajibaba oglu was an Azerbaijani statesman. Agha Ashurov Haji Aslan oglu was an Azerbaijani statesman who served as Minister of Industry and Trade and Minister of Postal Service and Telegraph of Azerbaijan Democratic Republic, and was member of Parliament of Azerbaijan. Aslan bey Safikurdski Aghalar bey oglu, also known as Aslan bey Safikurdlu was an Azerbaijani statesman who served as the Minister of Labor and Justice of Azerbaijan Democratic Republic and Minister of Postal Service and Telegraph of Azerbaijan Democratic Republic, and was member of Azerbaijani National Council and later Parliament of Azerbaijan. Republic Day honours the date on which the Azerbaijan Democratic Republic was founded on 28 May 1918 as the first secular democratic state in the Muslim East. The founder, first and only president of Azerbaijan Democratic Republic is Mammad Amin Rasulzadeh. Since 1990, 28 May - Republic Day is celebrated as a national holiday. 1 2 3 Balayev, Aydin; Aliyarov, Suleiman; Jafarov, Jafar (1990). Азербайджанское национально-демократическое движение. 1917-1920 гг[Azerbaijani National Democratic Movement]. Elm. p. 92. ISBN 978-5-8066-0422-5. ↑ Isgenderli, Anar (2011). Realities of Azerbaijan 1917-1920. Xlibris Corporation. p. 196. ISBN 978-1-4568-7953-2. ↑ Yusifova, Shabnam (2015). "AZERBAIJAN-IRAN RELATIONS (1918-1920)" (PDF). Proceedings of INTCESS15- 2 Nd International Conference on Education and Social Sciences: 274. ISBN 978-605-64453-2-3. The protesting of Iran to the naming of newly formed state "Azerbaijan" came from exactly this reason. Therefore, Azerbaijan government began to write "Caucasus Azerbaijan" in the diplomatic documents for putting an end to the hesitation of Iran. 1 2 3 4 5 6 7 Kazemzadeh, Firuz (1951). The Struggle for Transcaucasia: 1917-1921. The New York Philosophical Library. pp. 124, 222, 229, 269–270. ISBN 978-0-8305-0076-5. 1 2 Barthold, Vasily (1963). Sochineniya, vol II/1. Moscow. p. 706. (...) whenever it is necessary to choose a name that will encompass all regions of the republic of Azerbaijan, name Arran can be chosen. But the term Azerbaijan was chosen because when the Azerbaijan republic was created, it was assumed that this and the Persian Azerbaijan will be one entity, because the population of both has a big similarity. On this basis, the word Azerbaijan was chosen. Of course right now when the word Azerbaijan is used, it has two meanings as Persian Azerbaijan and as a republic, its confusing and a question rises as to which Azerbaijan is talked about. ↑ Swietochowski, Tadeusz (2004). Russian Azerbaijan, 1905-1920: The Shaping of a National Identity in a Muslim Community. Cambridge University Press. p. 129. ISBN 978-0-521-52245-8. ↑ Azərbaycan Xalq Cümhuriyyəti (1918-1920), Parlament (Stenoqrafik hesabatlar) (PDF). Bakı: Azərbaycan Nəşriyyatı. 1998. ↑ Tarix. Bakı. 2013. ISBN 978-9952-482-37-9. 1 2 Vekilov, R.A. (1998). ИСТОРИЯ ВОЗНИКНОВЕНИЯ АЗЕРБАЙДЖАНСКОЙ РЕСПУБЛИКИ [History of establishment of Azerbaijan Republic](PDF). Baku: Elm. p. 25. Archived from the original (PDF) on 2012-04-25. Retrieved 2011-11-16. ↑ Şeyxzamanlı, Nağıbəy (1998). Azərbaycan istiqlal mücadilesi xatirələri. Bakı. ↑ Ministry of Foreign Affairs of Azerbaijan Archived October 7, 2008, at the Wayback Machine . Wikimedia Commons has media related to Azerbaijan Democratic Republic .